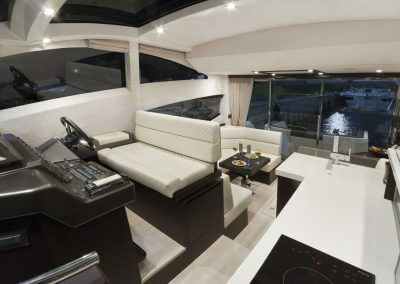 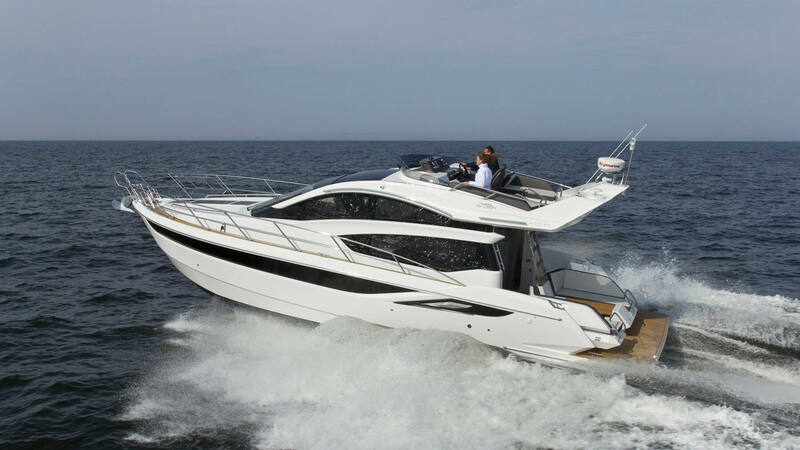 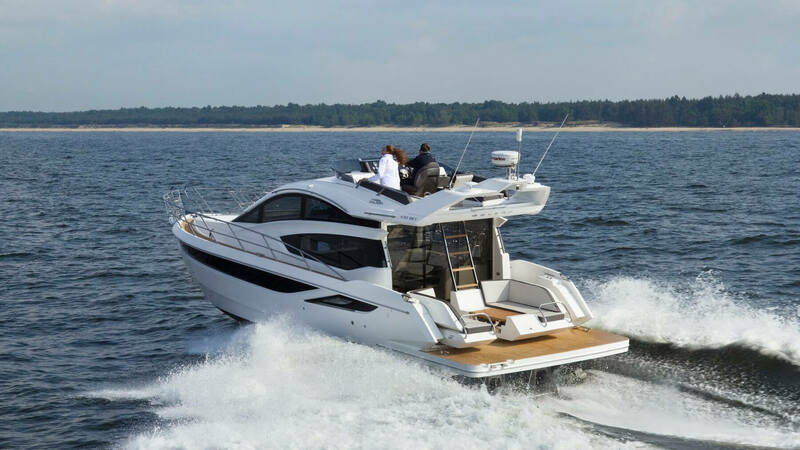 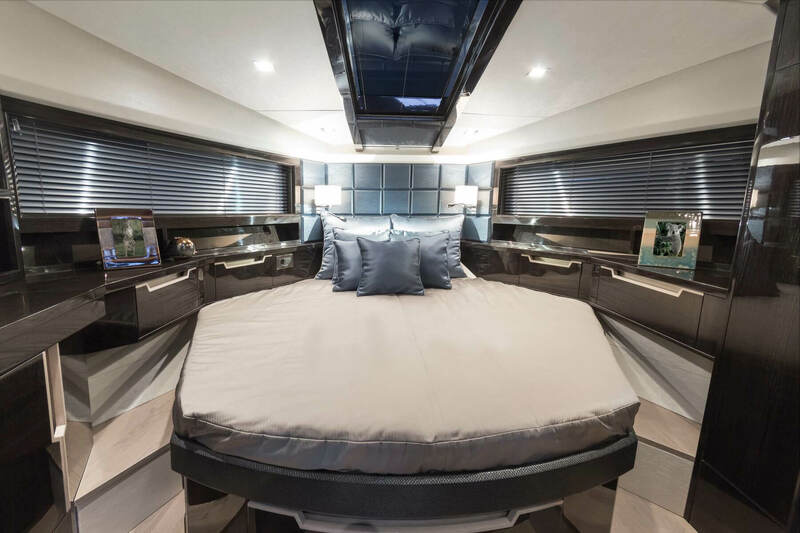 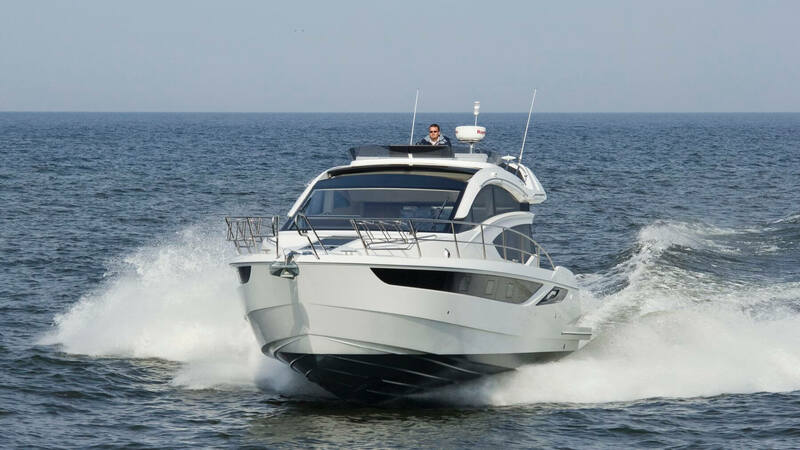 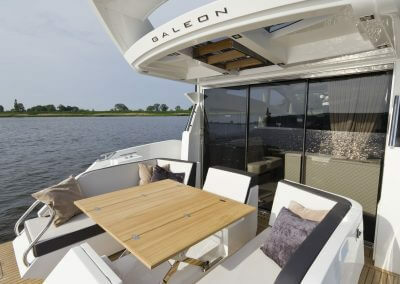 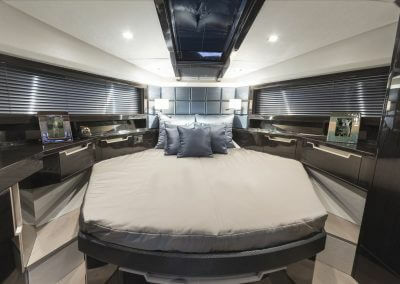 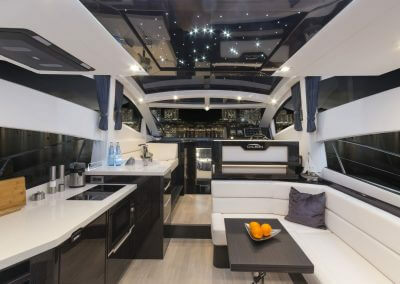 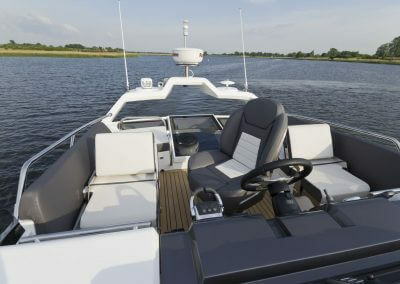 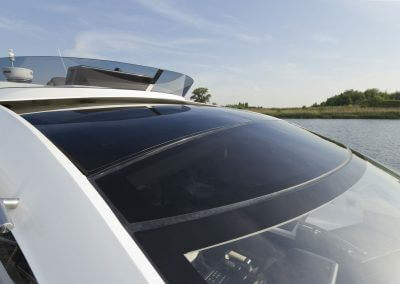 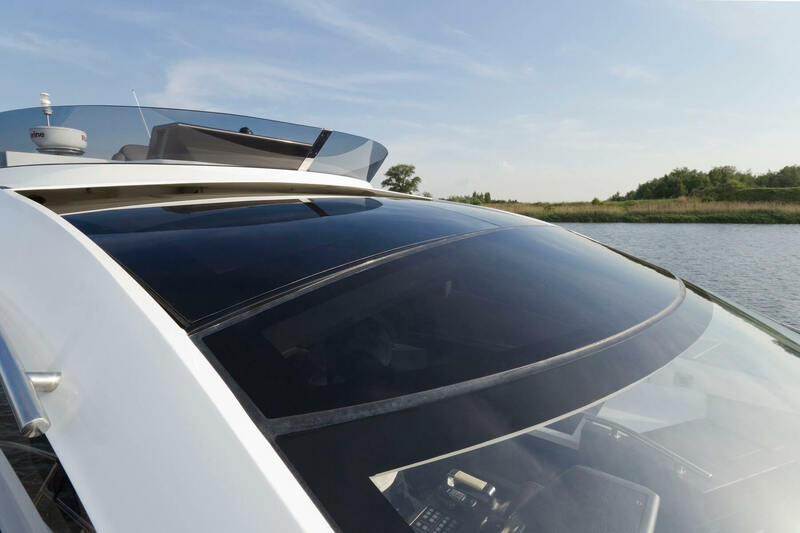 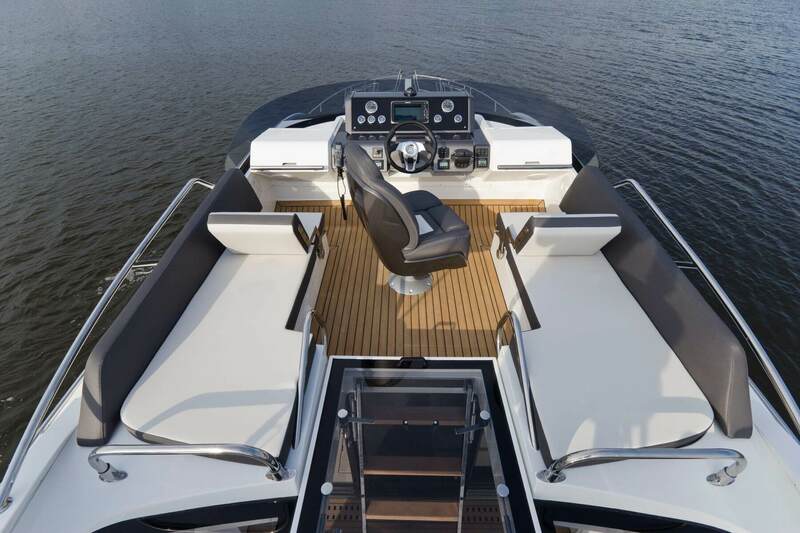 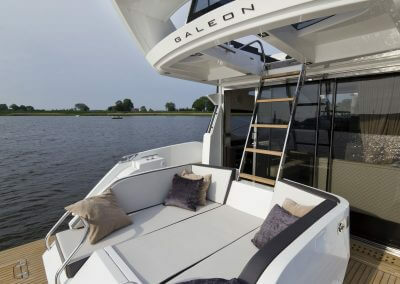 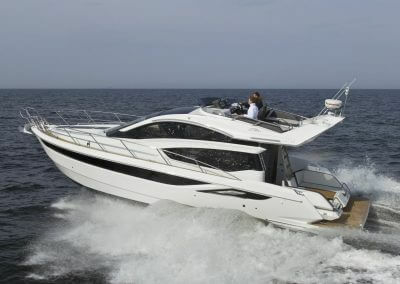 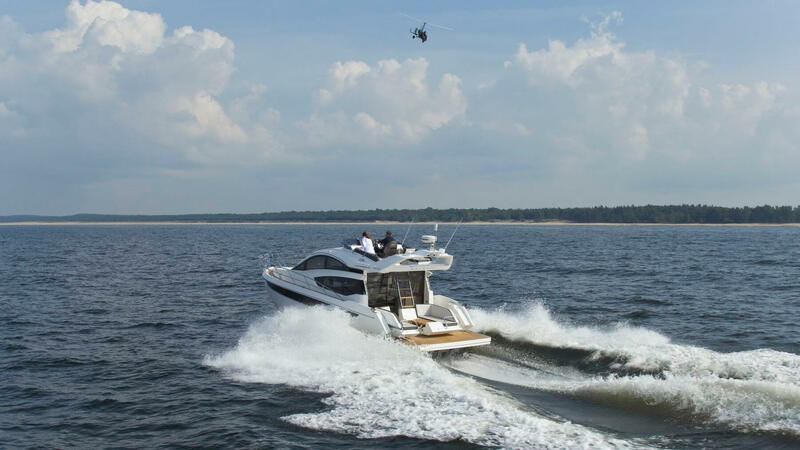 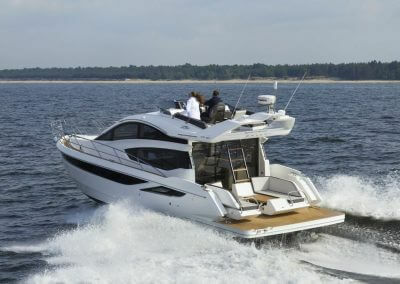 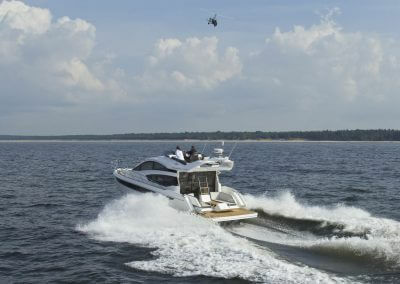 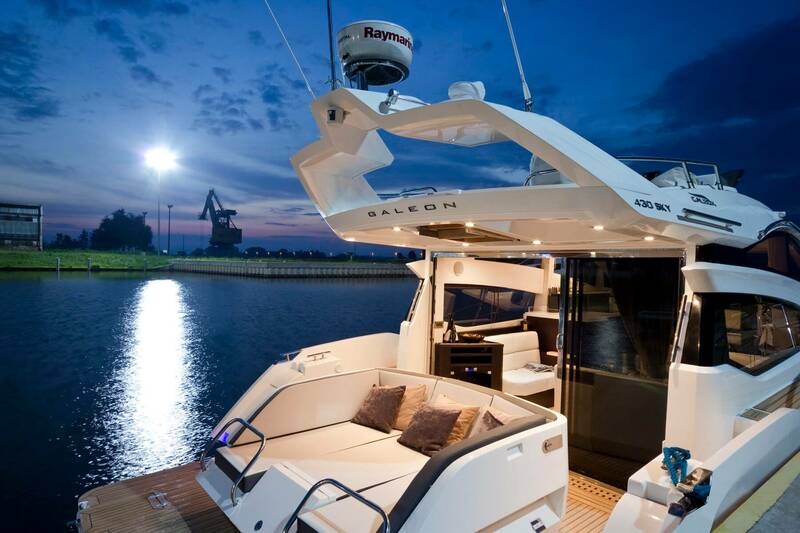 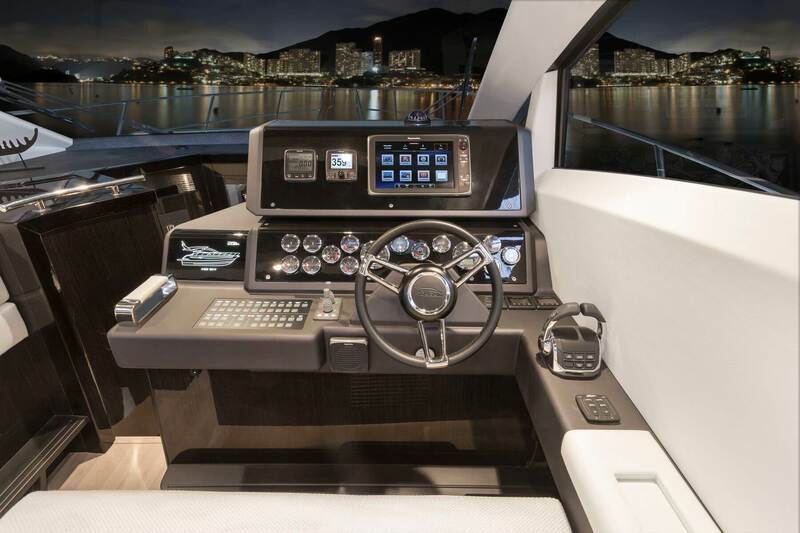 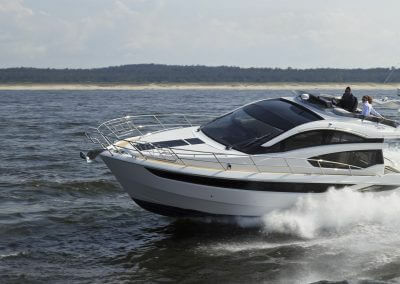 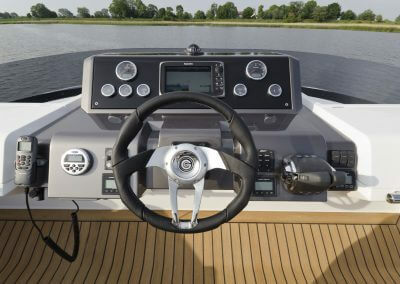 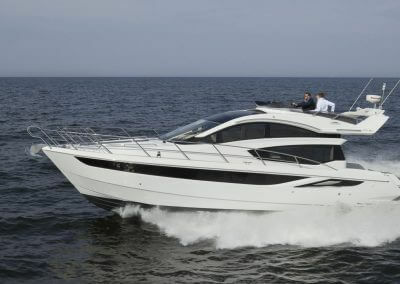 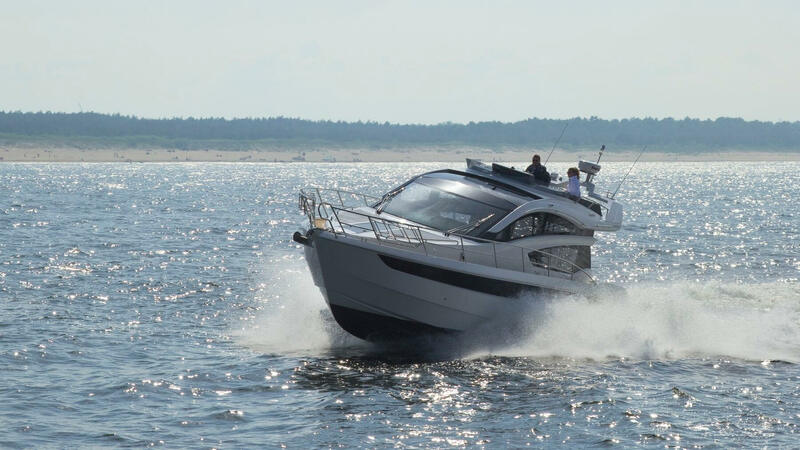 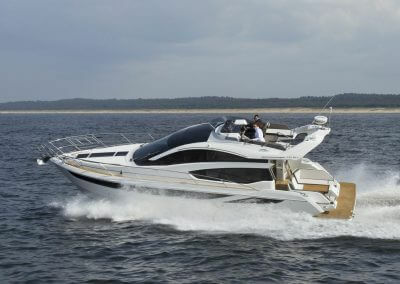 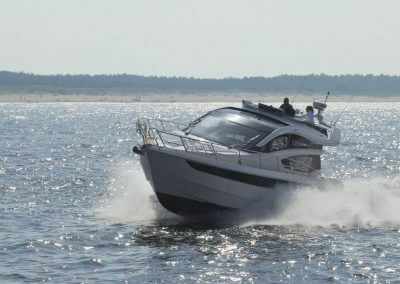 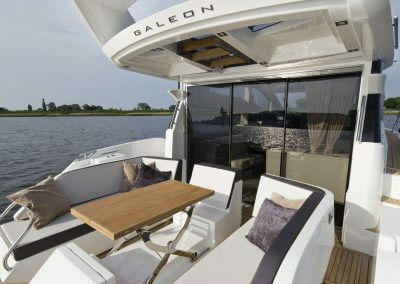 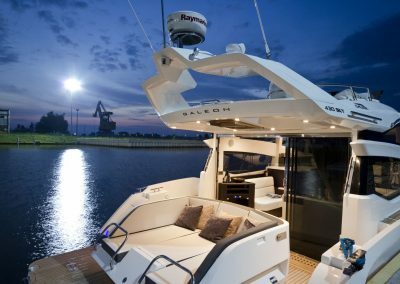 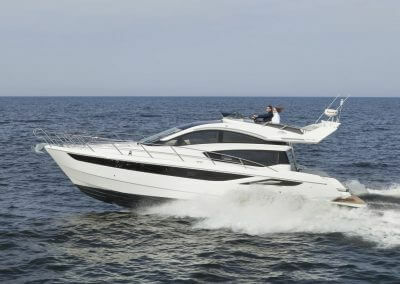 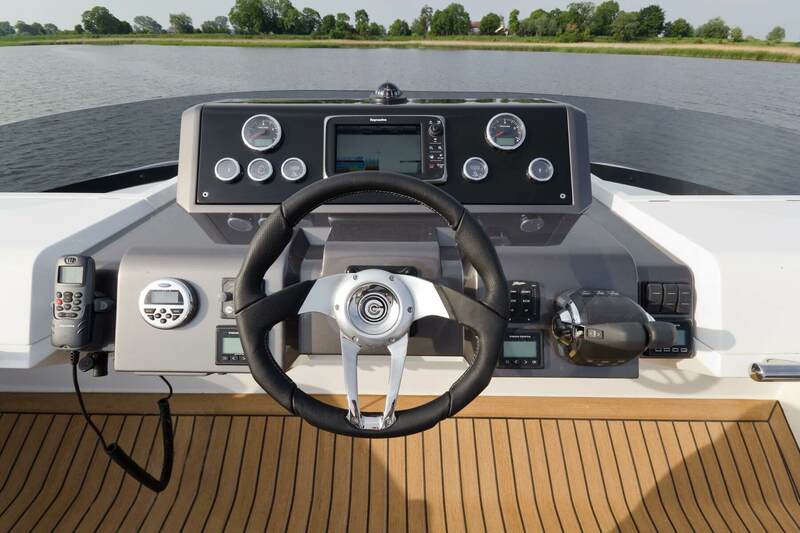 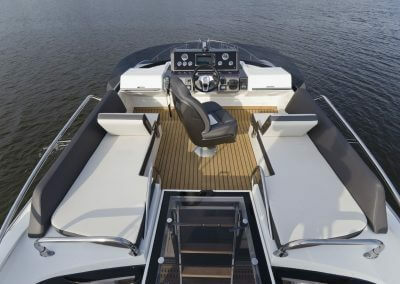 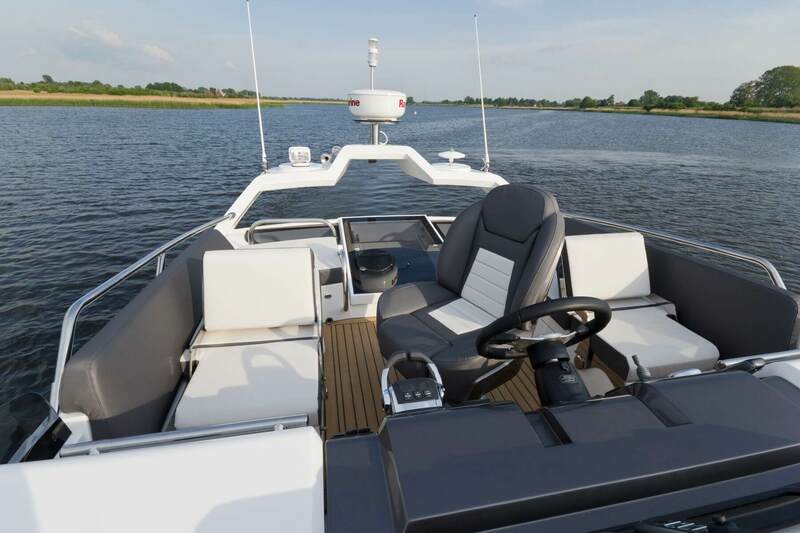 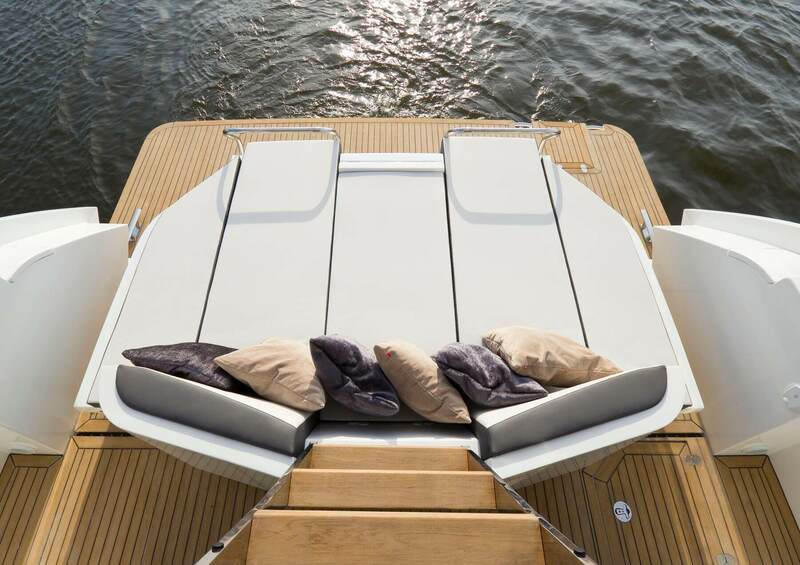 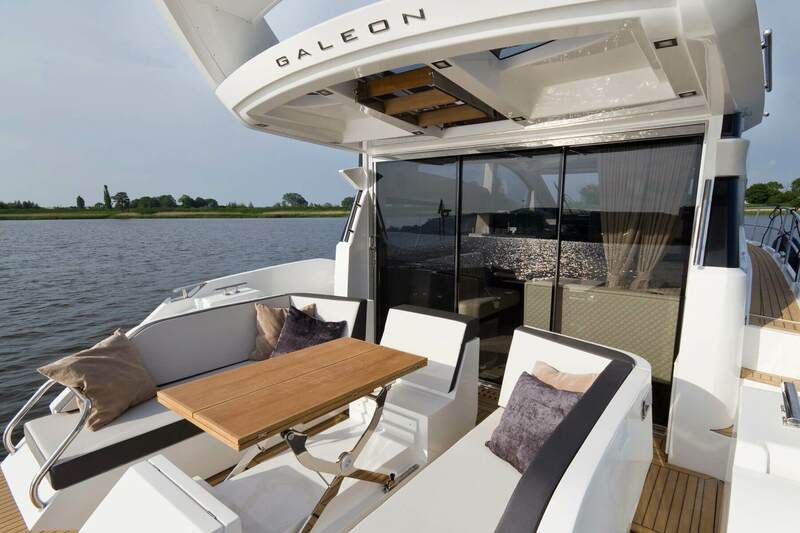 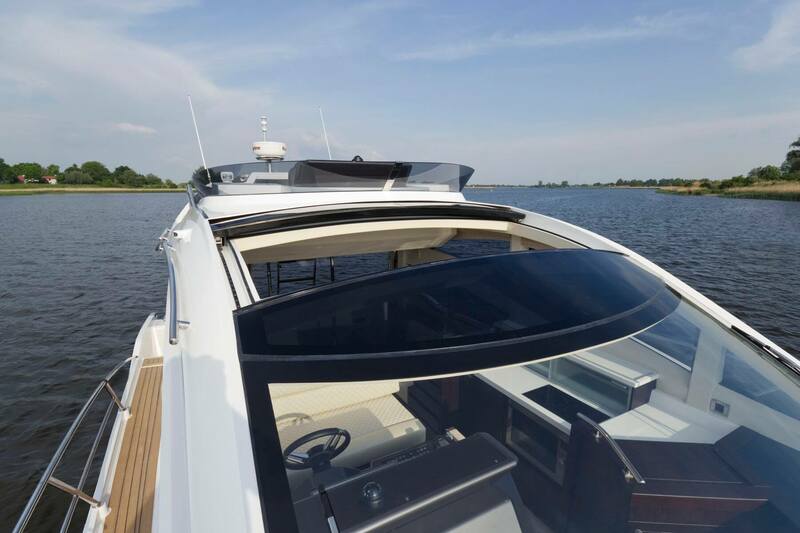 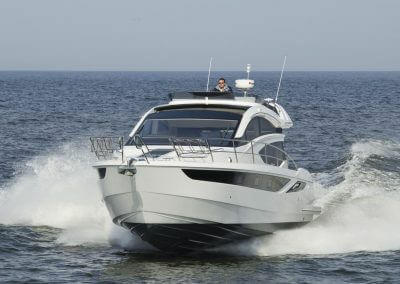 The refreshing top deck design, called the Skydeck, combines the benefits of both the flybridge and hardtop versions. 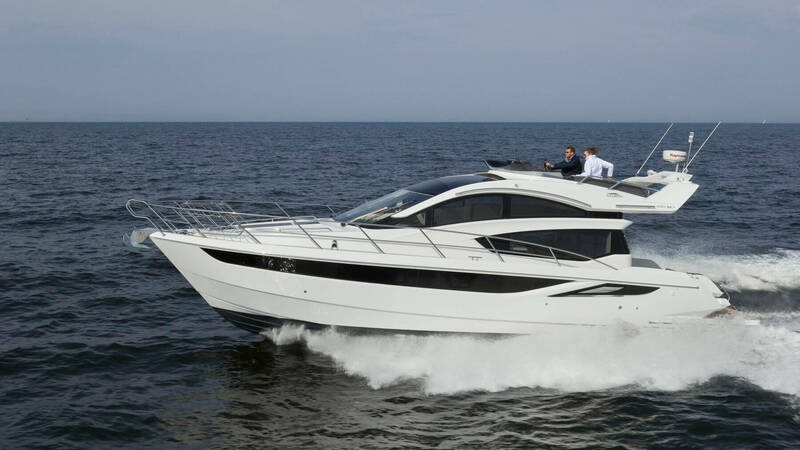 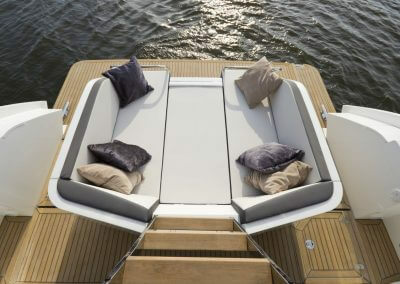 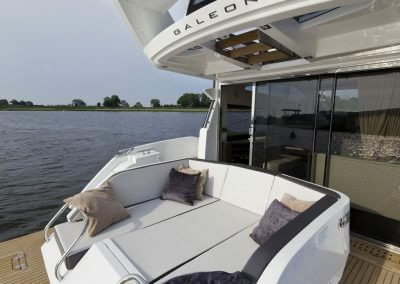 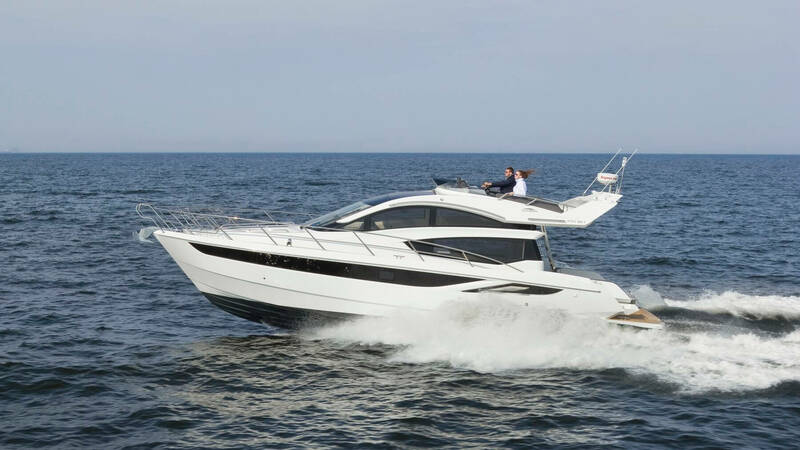 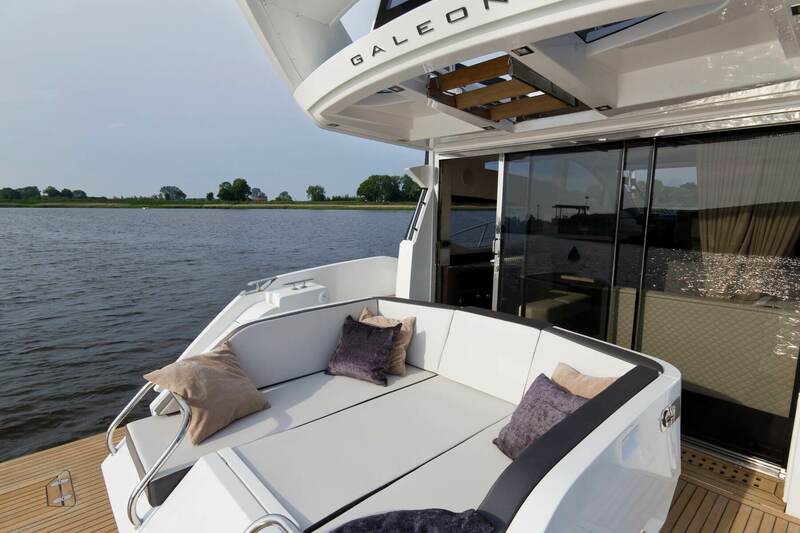 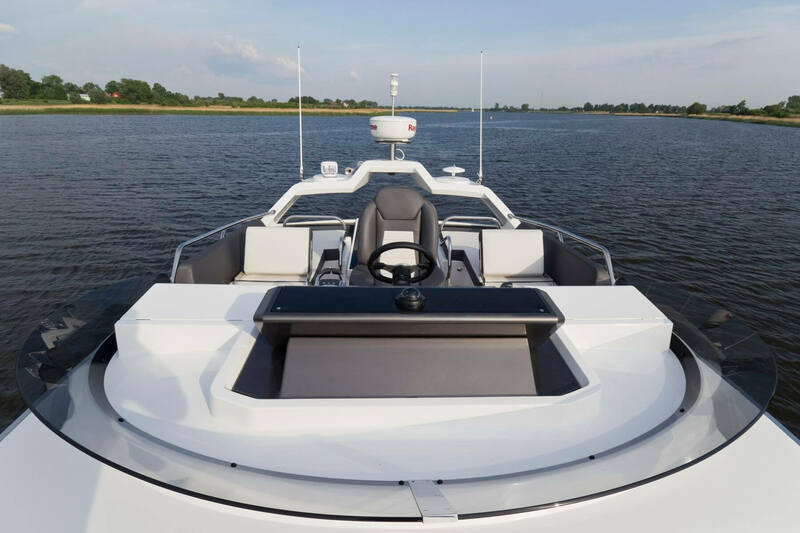 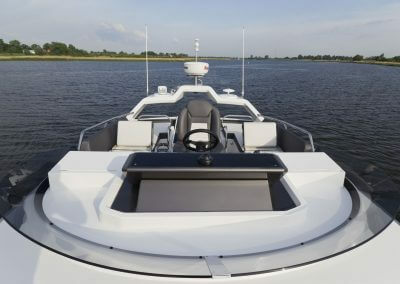 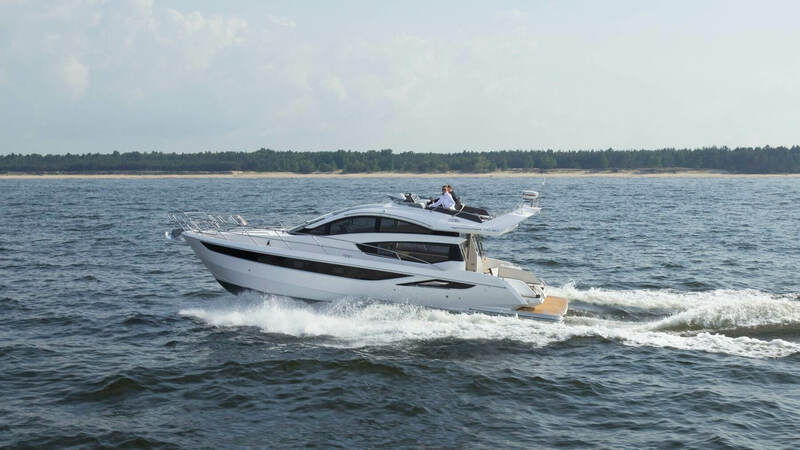 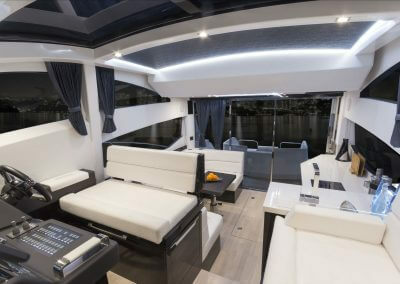 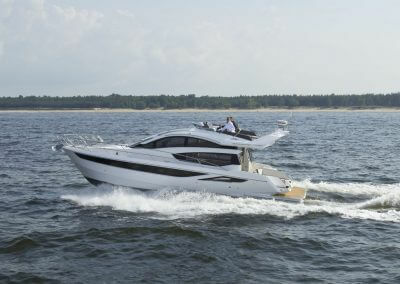 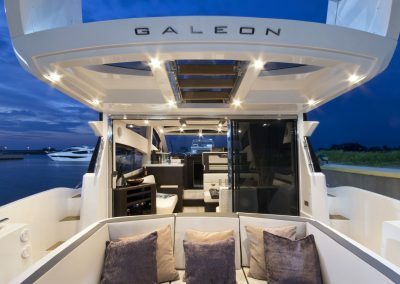 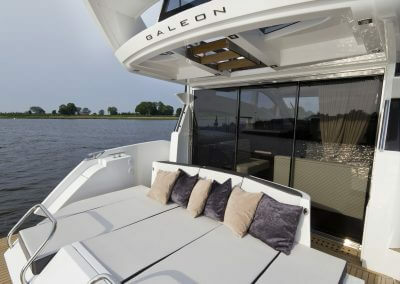 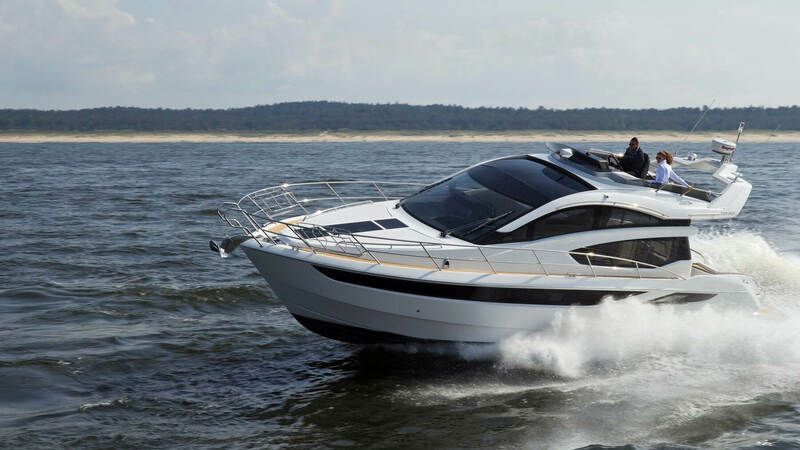 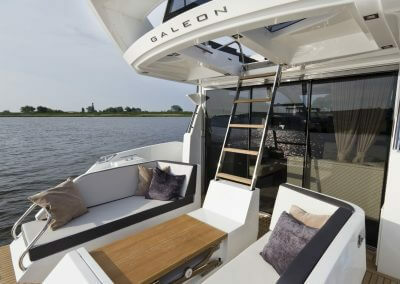 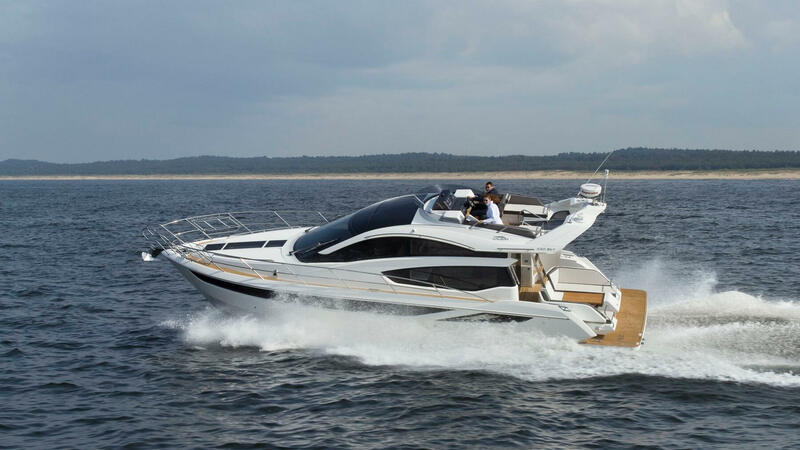 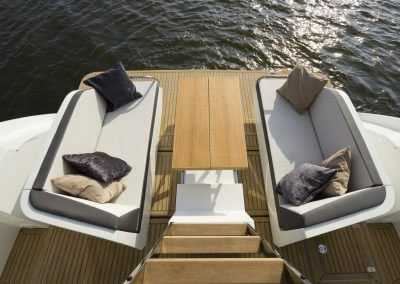 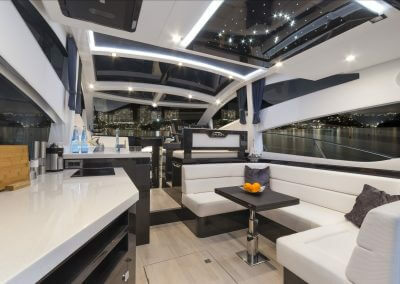 It offers three forward facing seats and two sundecks on top, while maintaining a distinguishable, sleek look of the yacht. 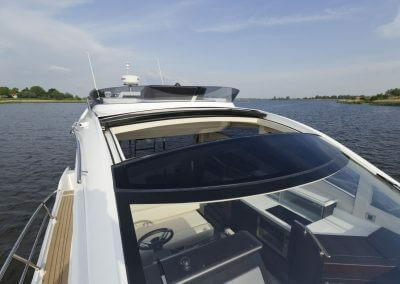 A wide sunroof opens over the helmsman station while an automatic, drop down ladder allows easy access to the top, without compromising any of the cockpit space. 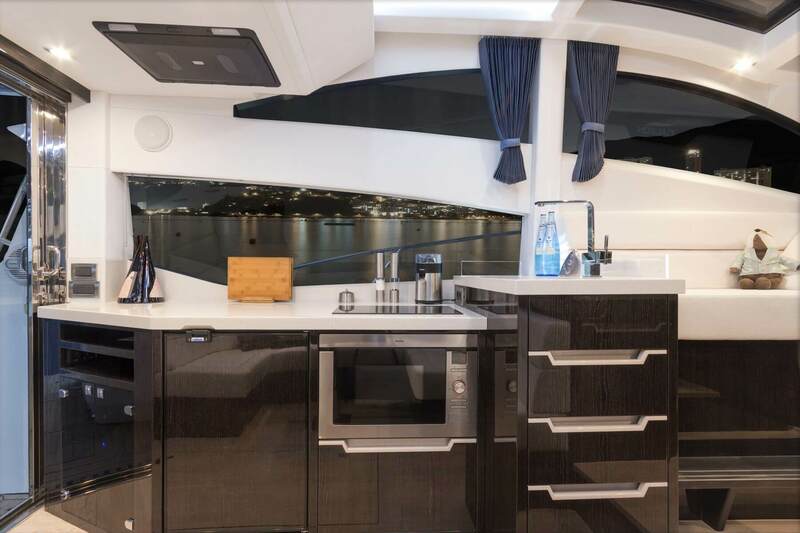 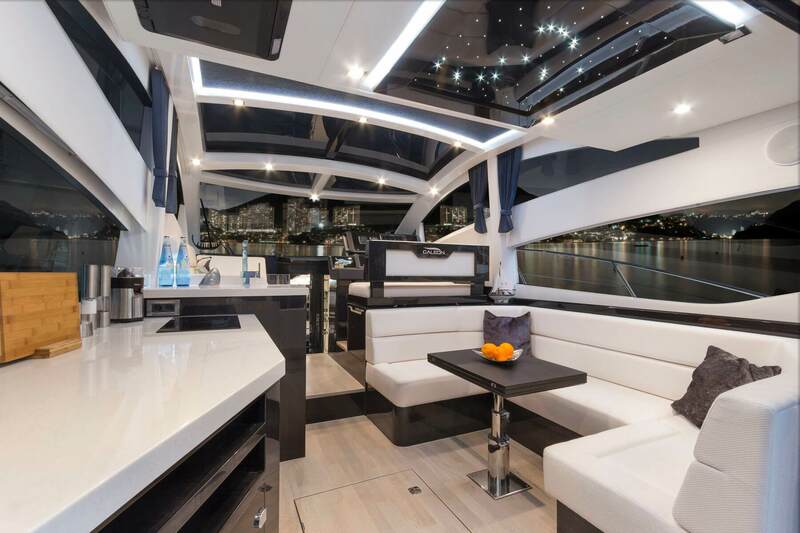 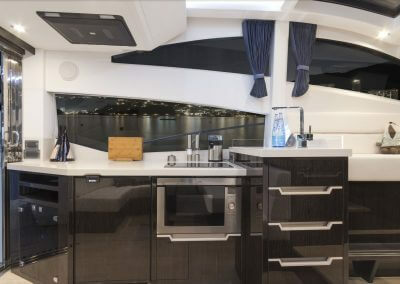 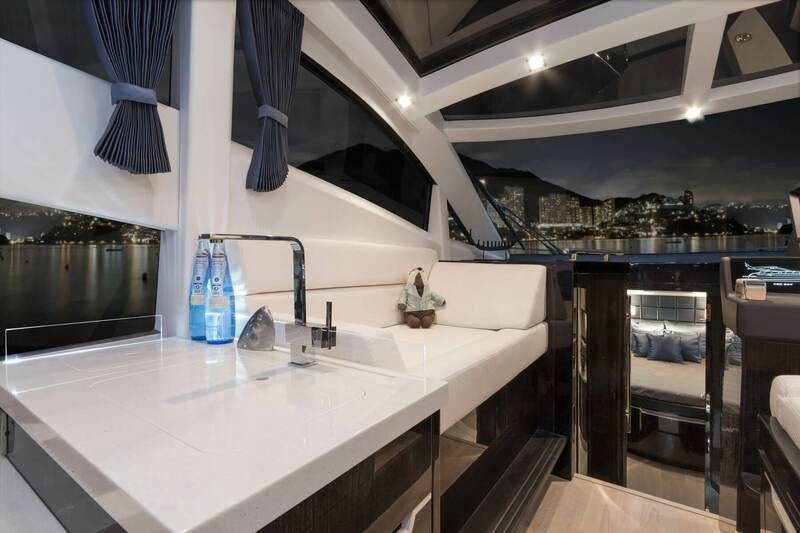 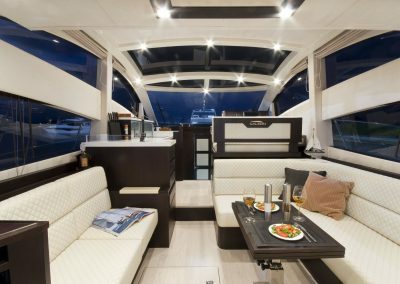 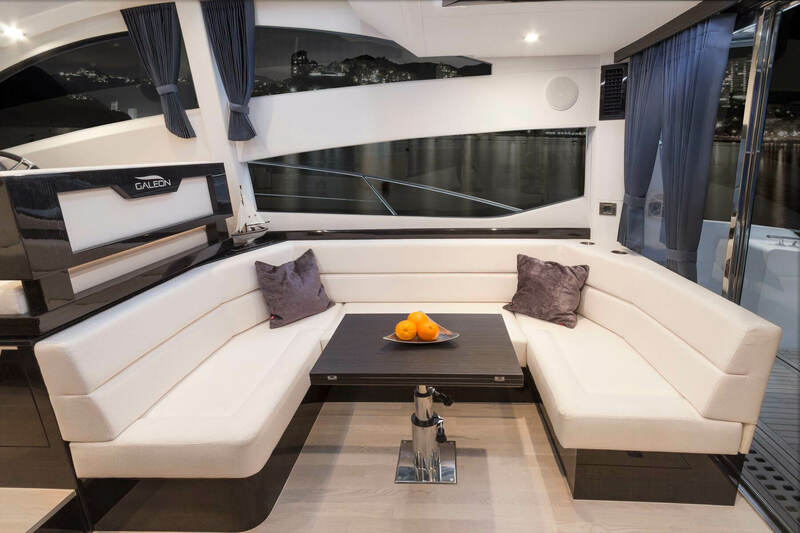 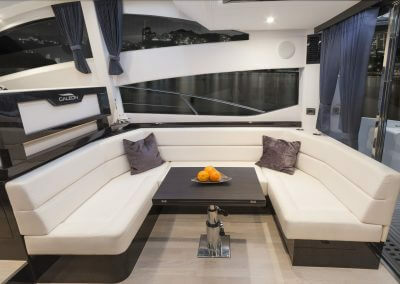 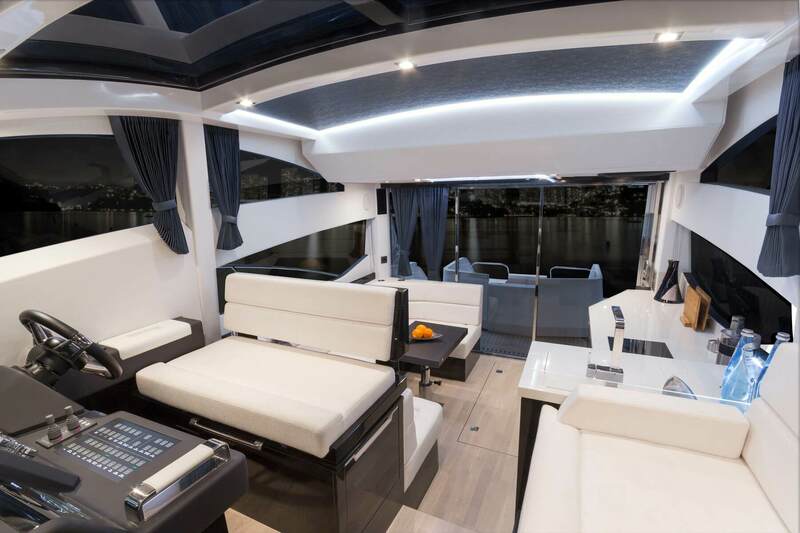 The main deck offers a well planned and meticulously finished interior with a sizeable dinette, galley and an elevated helmsman station. 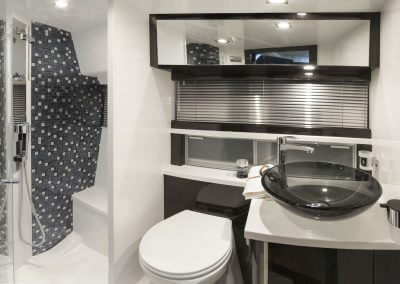 Down below, three cabins and two bathrooms ensure privacy and comfort for all passengers. 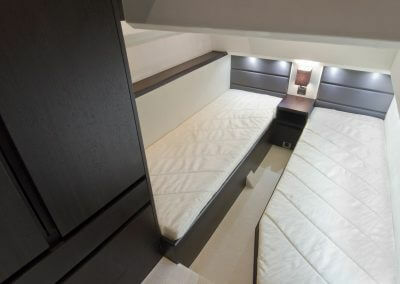 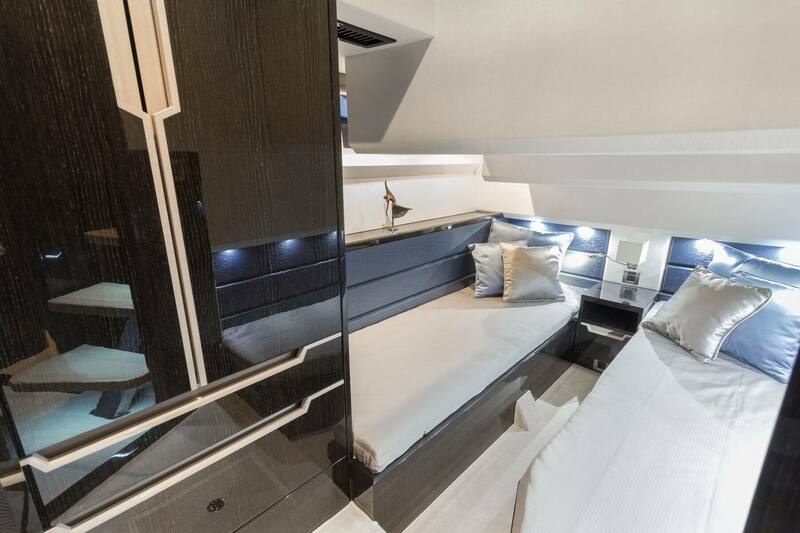 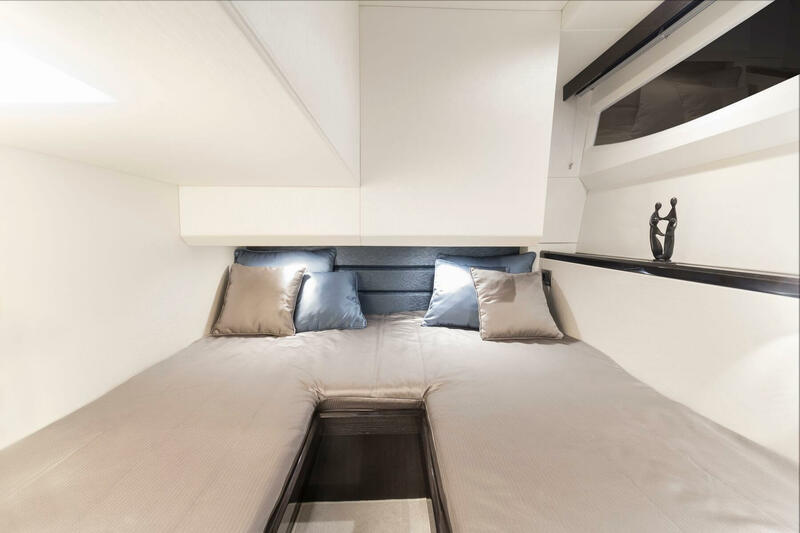 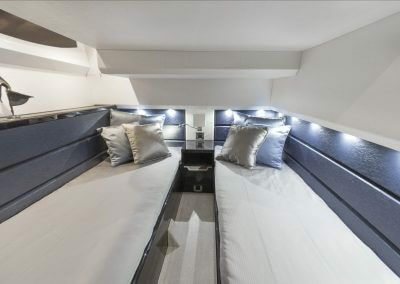 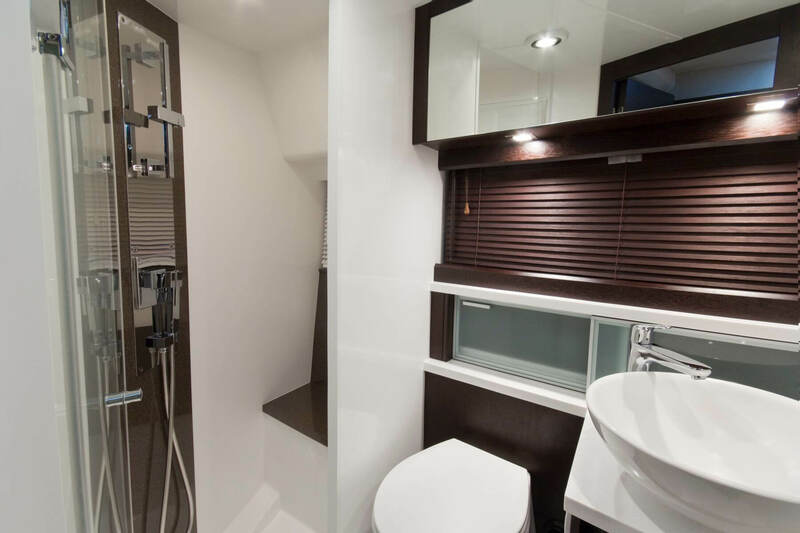 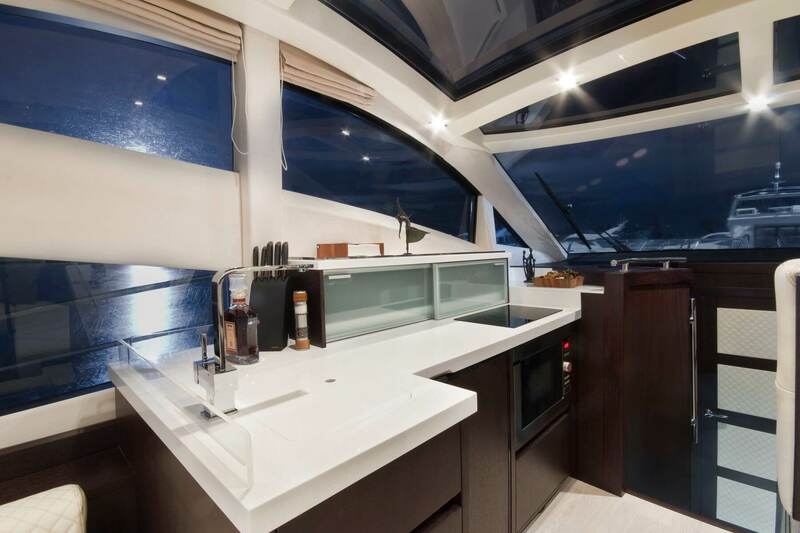 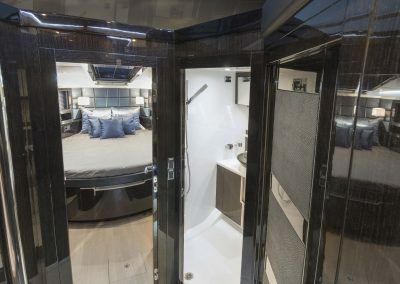 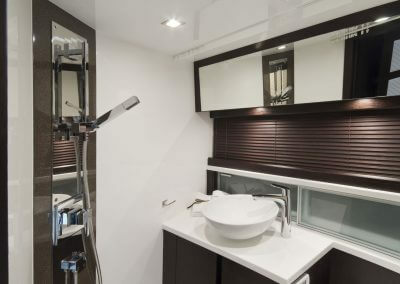 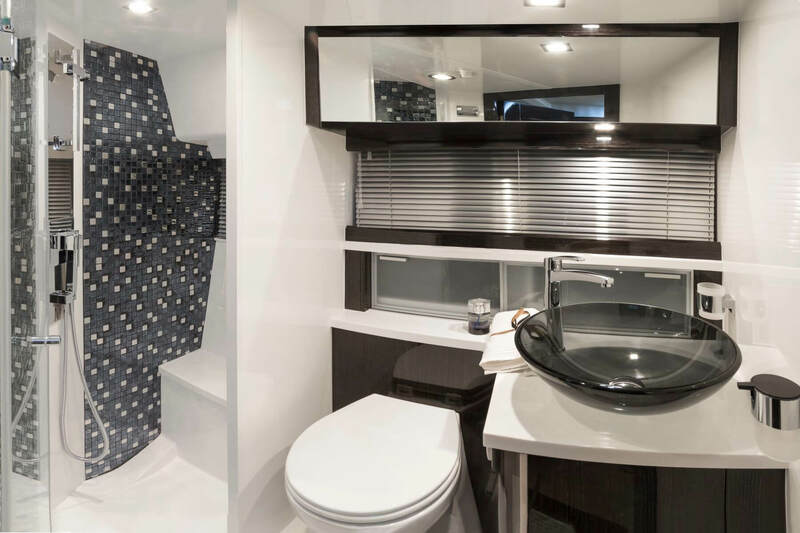 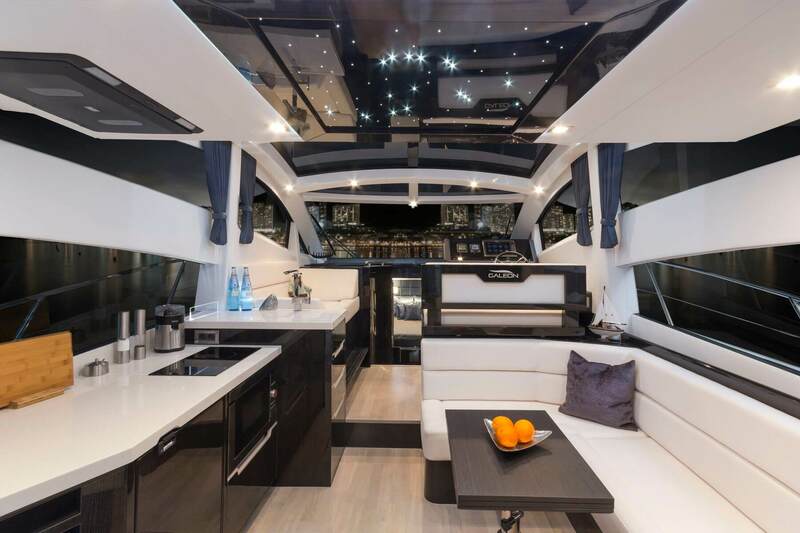 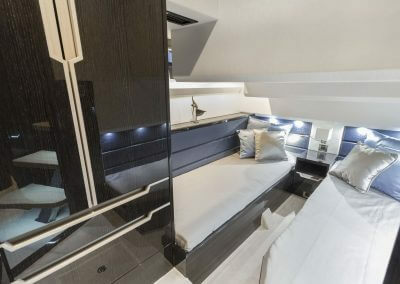 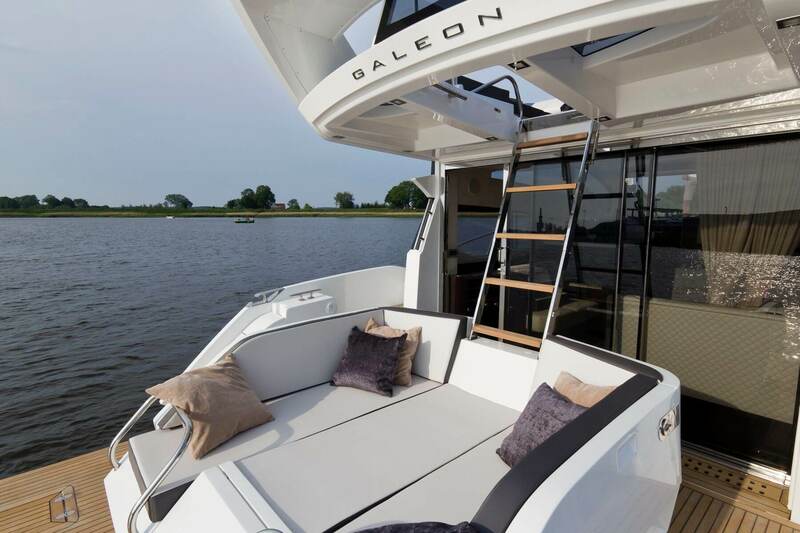 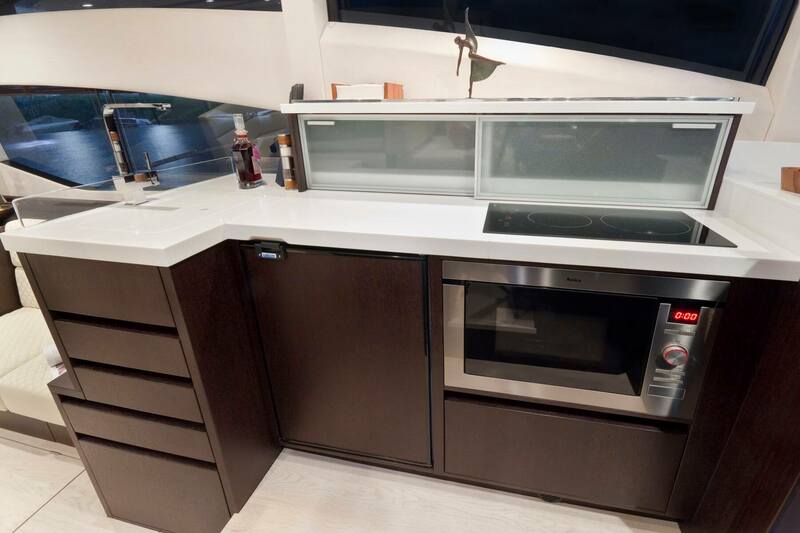 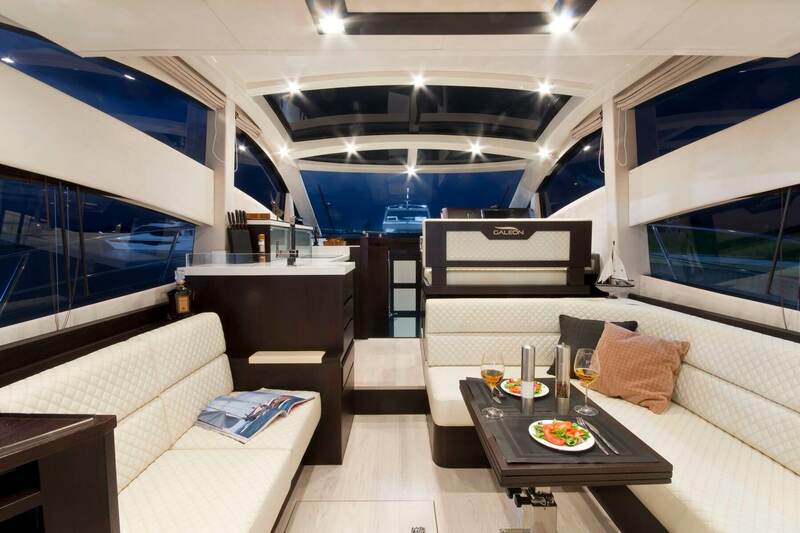 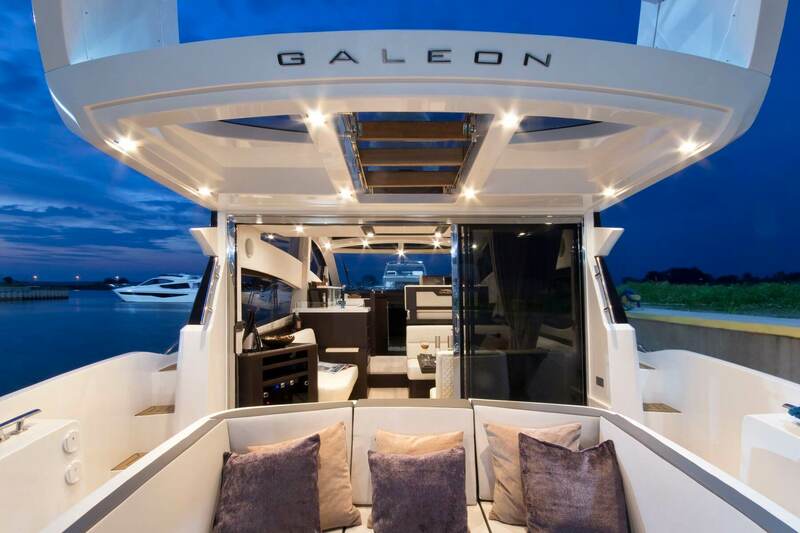 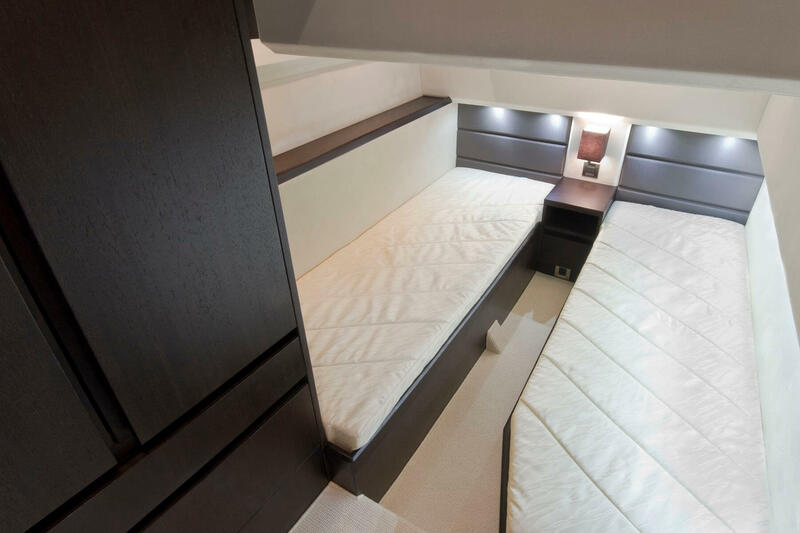 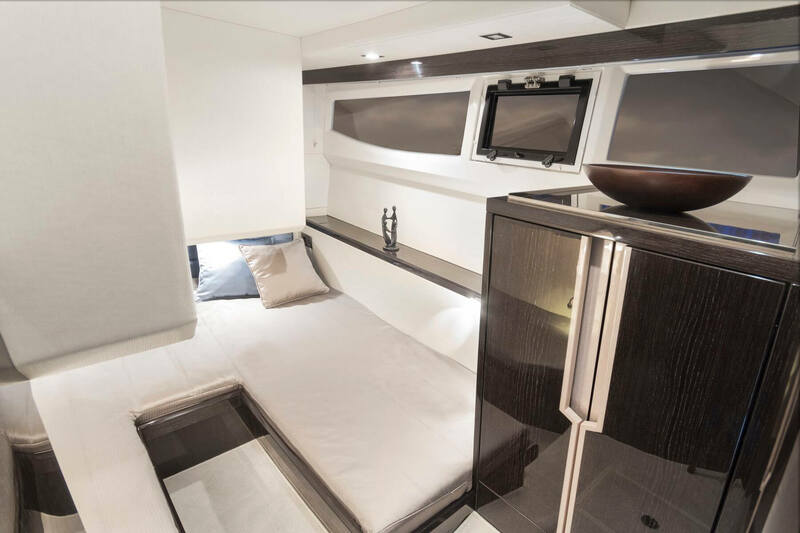 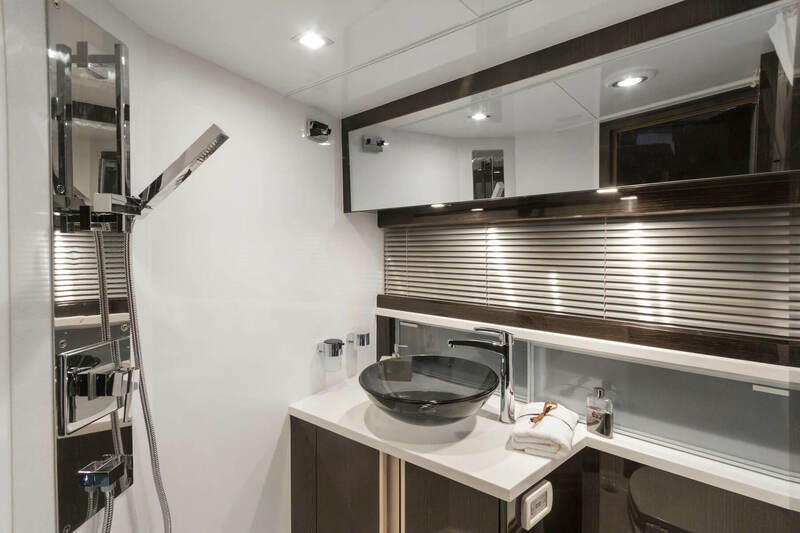 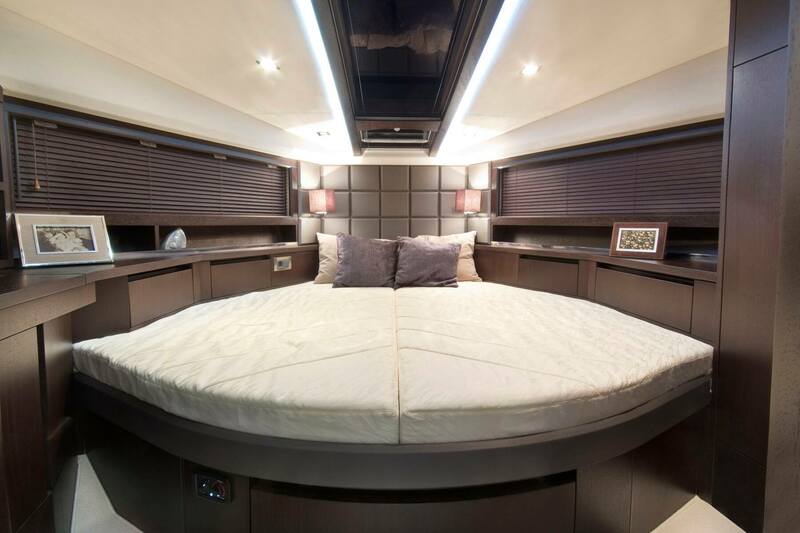 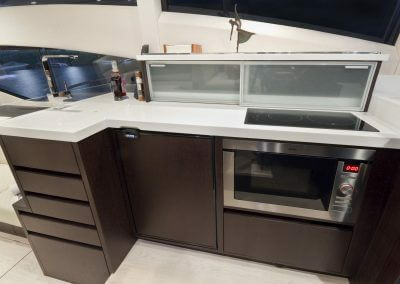 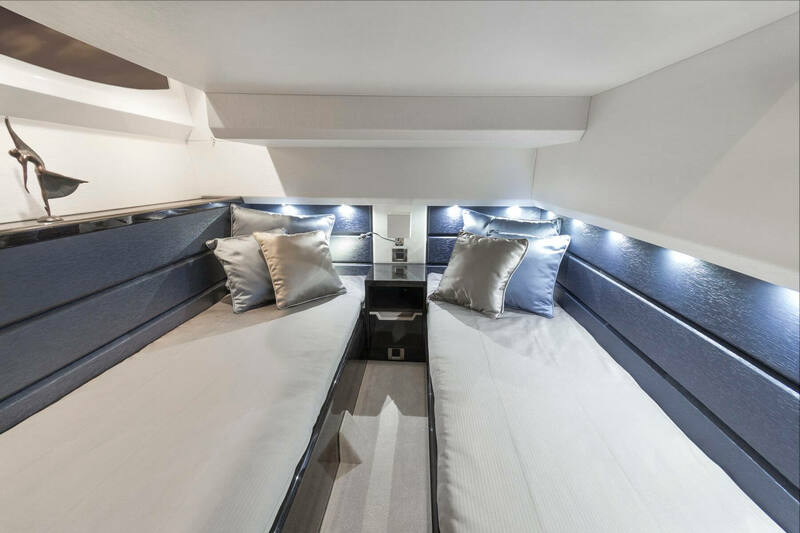 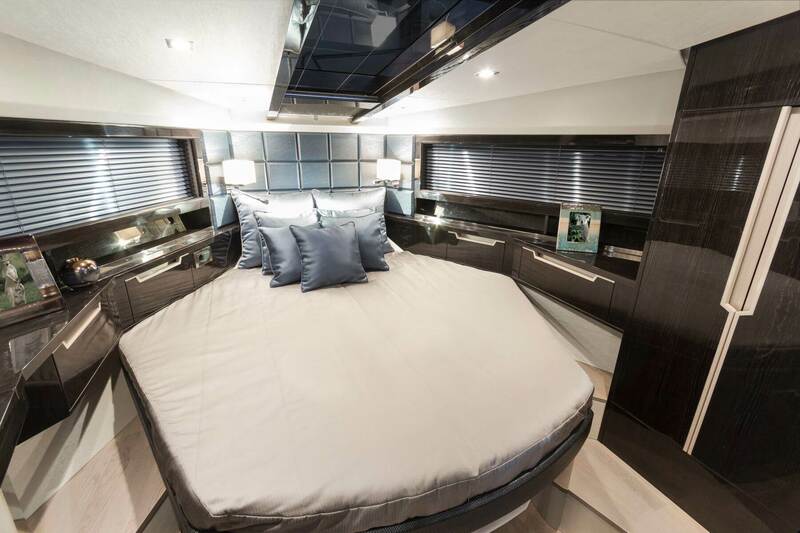 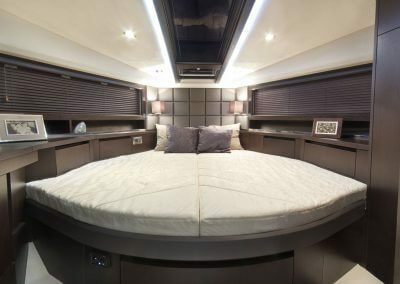 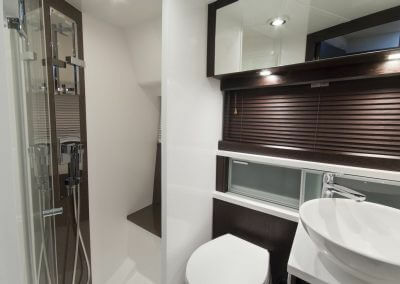 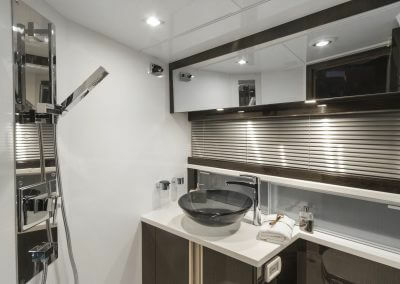 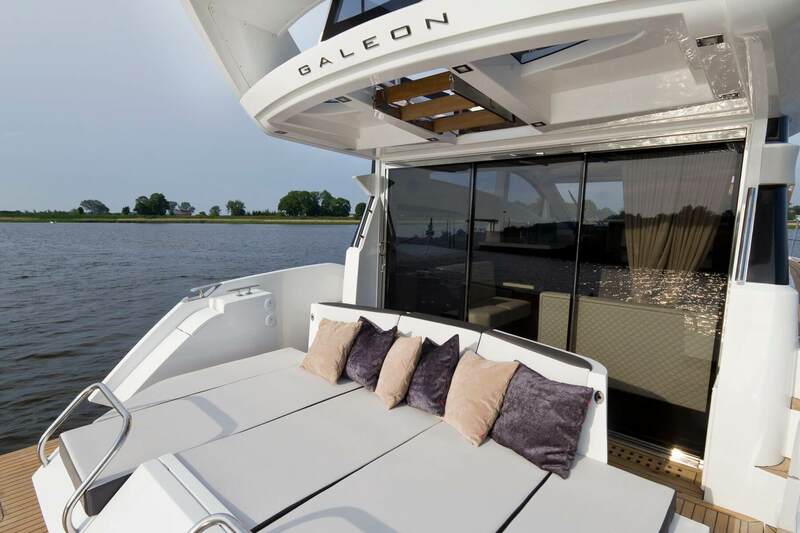 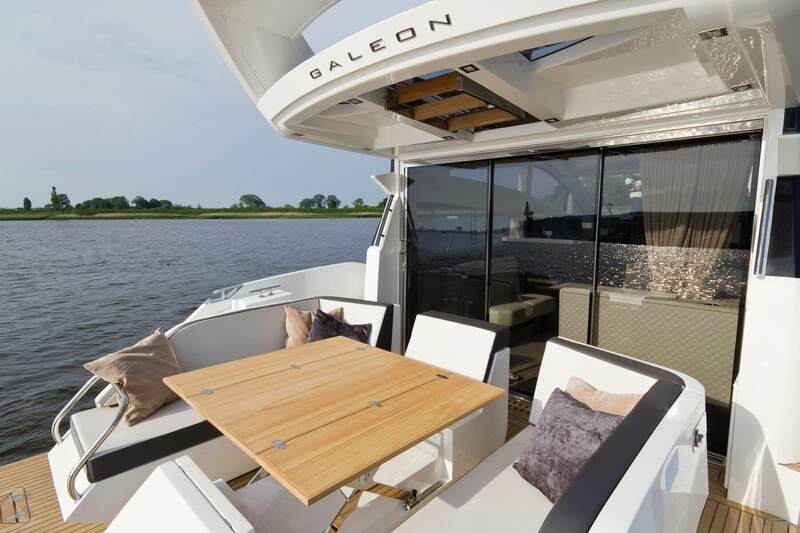 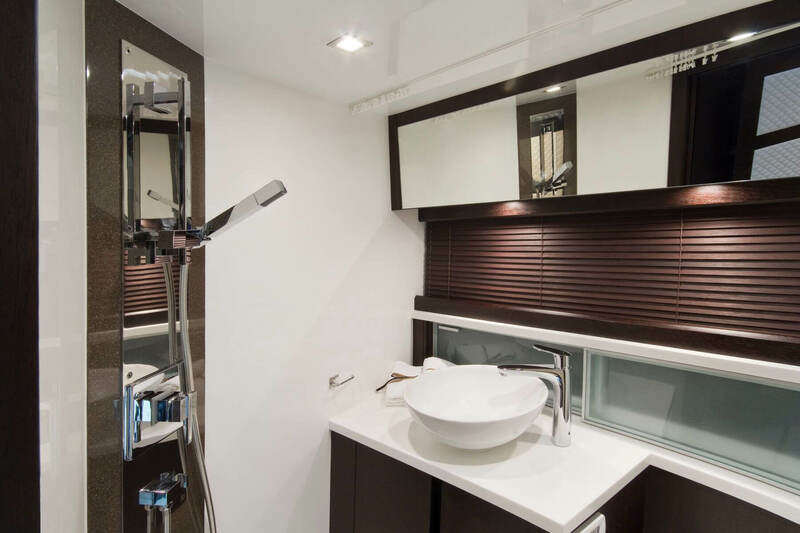 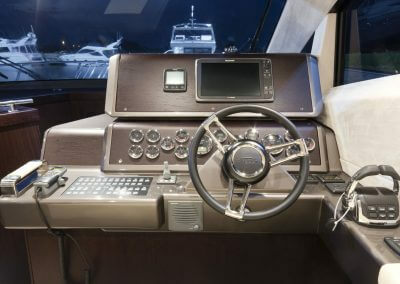 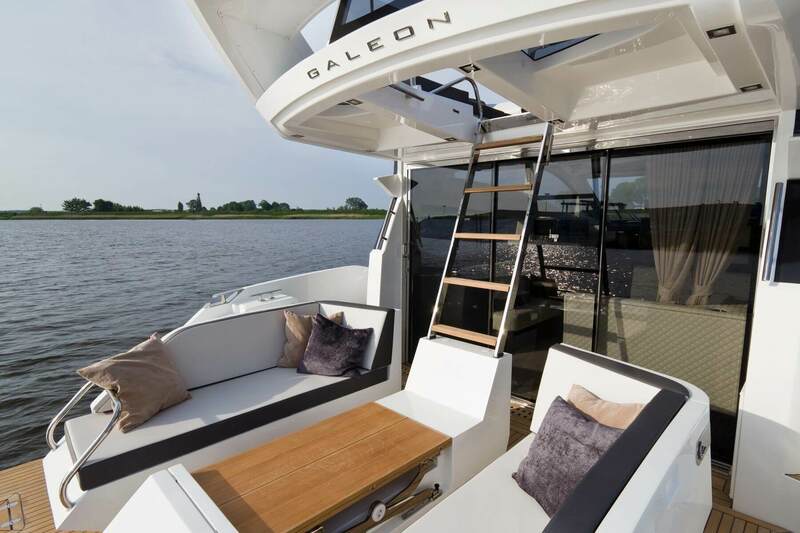 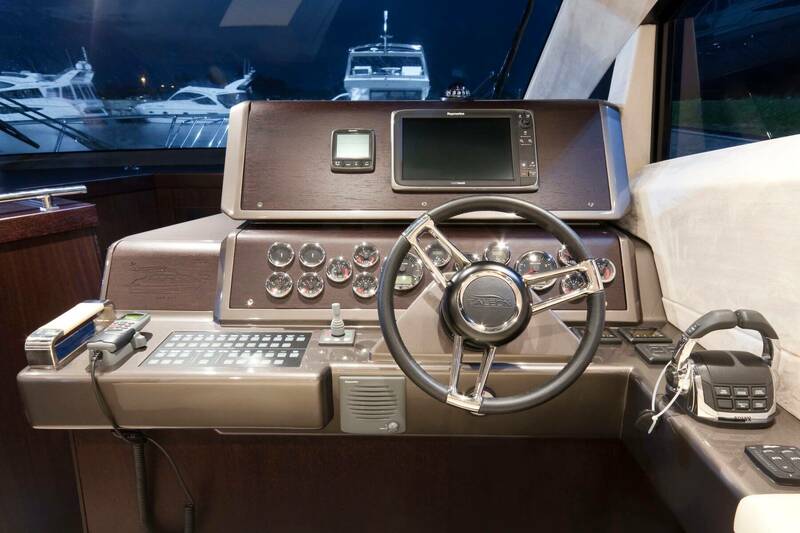 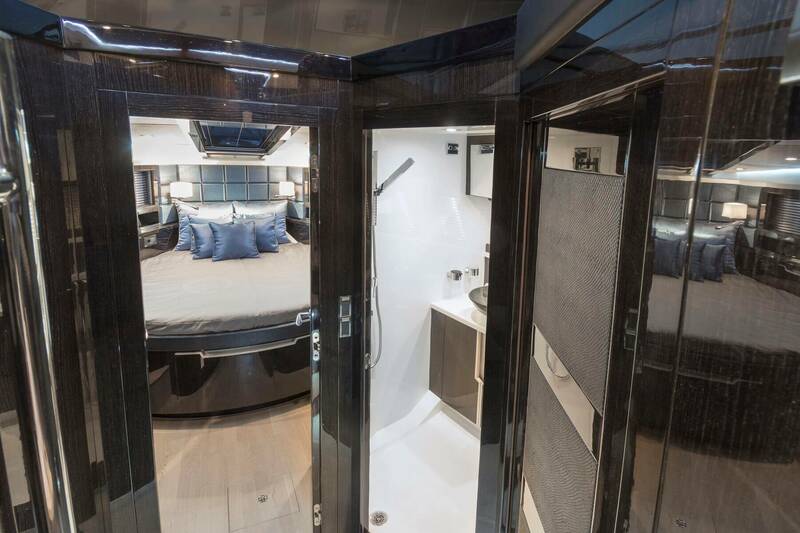 The port side cabin can be turned into a galley creating even more space on the main deck. 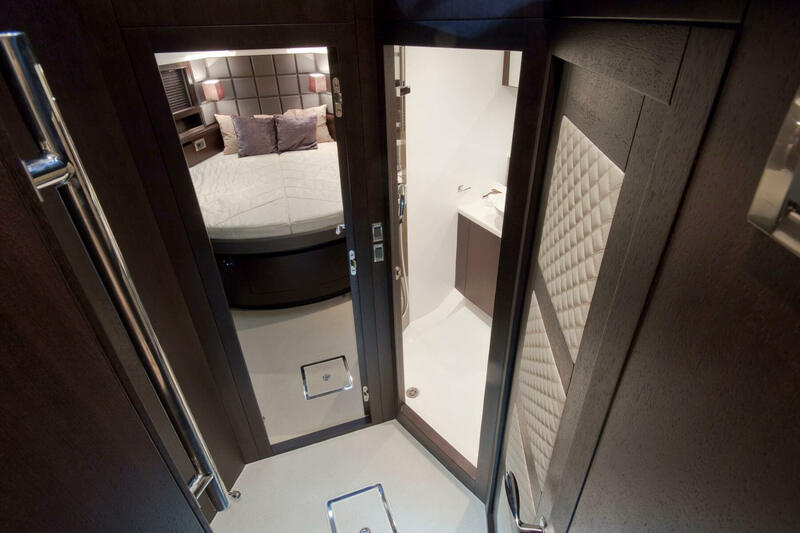 Quality fabrics and luxury fittings create a stunning and relaxing interior. 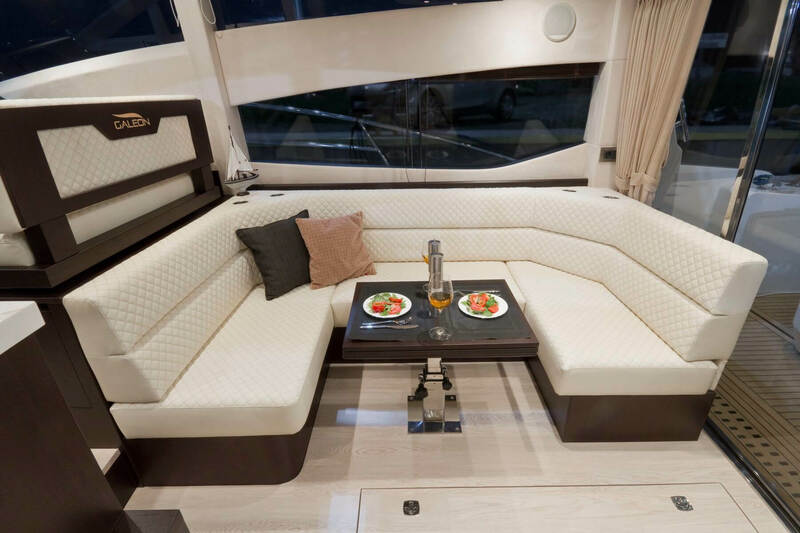 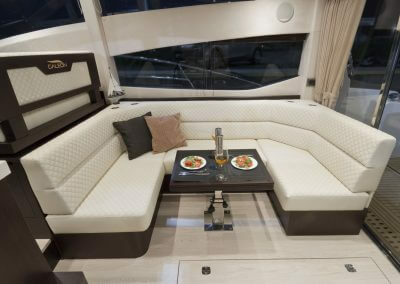 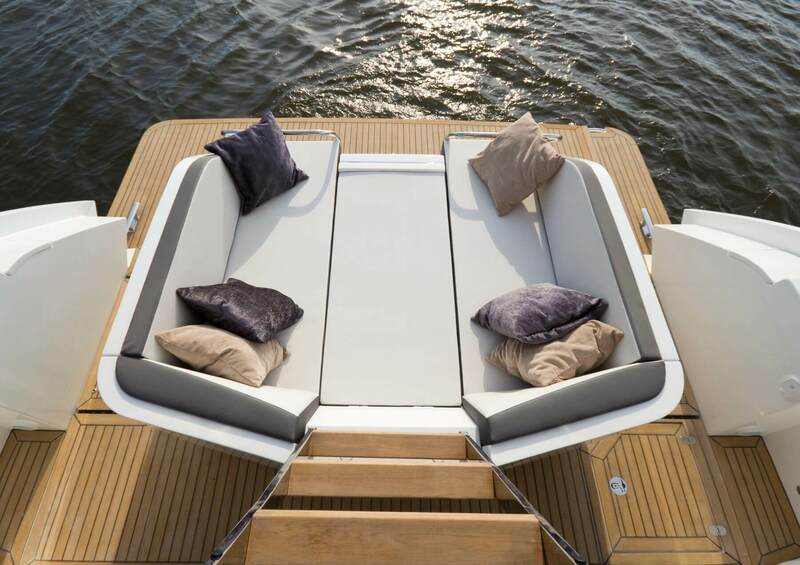 The modular aft design will enable to effortlessly transform from a sundeck into separate loungers or a dinette with a pop up table. 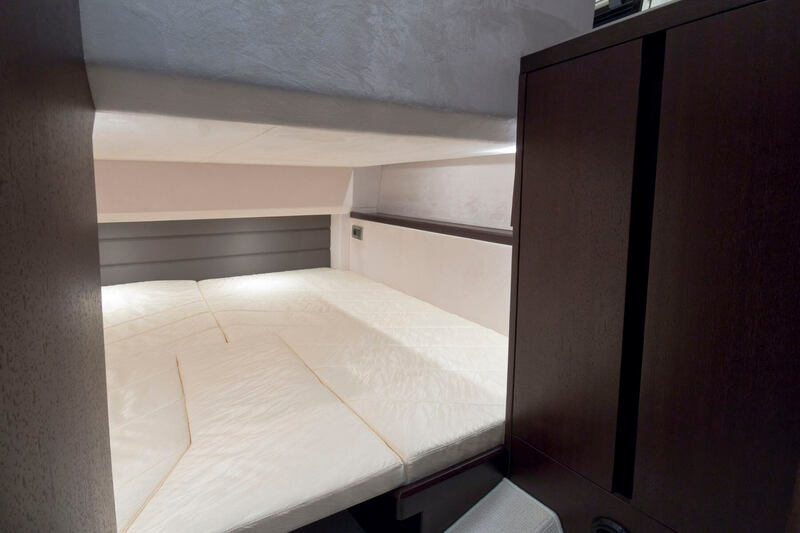 This convenient solution helps utilize the available space in a most effective manner, creating five completely different layouts in a matter of seconds. The extended hydraulic stern platform will be appreciated by all water paraphernalia enthusiasts.